The watchmaker TAG Heuer in cooperation with the yachting team Oracle Team USA has developed the new model Aquaracer 72 Digital Smartwatch. The novelty has a titanium case in a diameter of 51 mm. Compared with the previous models of the brand the new model is completely different in design. Instead of the usual dial, the digital display is divided into several parts. It reflects all necessary for participants yachting team information: the speed of the vessel, the pressure on the sail, the speed, angle and direction of the wind. The model Aquaracer 72 Digital Smartwatch is available on a red leather strap. The model is produced in a limited edition especially for team members. 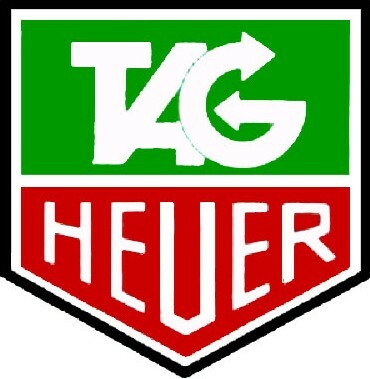 Official site of TAG Heuer. TAG Heuer has expanded its collection of novelty TAG Heuer Carrera with a novelty Carrera Calibre CH 80 Chronograph, equipped by the manufacturing mechanism CH 80 with a 80 - hour power reserve. The new Carrera Calibre 1969 Limited Edition (Ref. CAR2A60) watch by the watch brand TAG Heuer, made in a classical style, is equipped with a new automatic caliber 1969, collected in the walls of the manufactory. Three-time champion Australian Grand Prix and The Ambassador of TAG Heuer Jenson Button, as well as many other dignitaries attended a cocktail party at TAG Heuer, organized in the store Flagship, Melbourne. Gray is a ''bright'' feature of fashionable time meters! Along with such colors - "best sellers" as black, blue and chocolate brown, gray firmly established position in the trend. TAG Heuer on the red carpet! TAG Heuer watch once again shone on the red carpet, at this time adorning the wrist unsurpassed Leonardo DiCaprio. Actor chose a model TAG Heuer Carrera Chronograph - quite restrained, but at the same time brutal attribute. On December 5, the premiere of the "The Island of Luck" movie, directed by Kirill Kozlov, was held. The famous watch company TAG Heuer has recently opened a new boutique on the Boulevard des Capucines in Paris. In September, the watchmaker TAG Heuer has organized a party at the boutique in the Stoleshnikov, 14. Organized in the style of 60`s, the retro party was dedicated to the Carrera collection, who turned 50 years old this year. The famous watch company TAG Heuer this fall supports several events in the world of yachting. The Swiss Tilt Team took part in the Red Bull Youth America`s Cup, the Oracle Team USA will participate in the 34th America`s Cup from 7 to 21 September. The watch brand TAG Heuer has introduced a new line TAG Heuer Link Calibre 18, which is based on new in-house movements. July 20, 2013 Sebastien Ogier after more than a 3-day leadership won the World Rally Championship in Sardinia. This is his fourth victory this season. Watch brand TAG Heuer has announced the release of a new watch Calibre 8 Grande Date GMT. The model is presented in a round polished case with a diameter of 41 mm. Water-resistant - 100 meters. The screw-down crown, placed at the 3 o’clock position, is decorated with the TAG Heuer’s logo. This year the watchmaker TAG Heuer celebrates the 50th anniversary of its collection Carrera. In honor of this event, the brand has released a new model Carrera Calibre 36 Chronograph Flyback 43 mm, which is made in the original design. The famous watchmaker TAG Heuer, as the official partner of the Monaco Grand Prix (Formula 1 race), in conjunction with the Automobile Club of Monaco - ACM has released a new version of its legendary Monaco Chronograph. A new model of TAG Heuer - Carrera MikroPendulumS - is a version of the TAG Heuer Carrera MikrotourbillonS watch, in which two magnetic pendulum replace the hair spiral: for a chronograph and for hours. Recently, a famous watchmaker TAG Heuer became the official timekeeper of FIA Formula E. The championship will start in September 2014. Recently, the famous watchmaker TAG Heuer has announced its new CEO. Stefan Linder will succeed Jean-Christophe Baben who goes to Bulgari. At the exhibition BaselWorld 2013, which opened its doors this year in April 25, the Swiss watch brand TAG Heuer has unveiled a novelty Carrera Calibre 36 Flyback Racing. TAG Heuer has announced the release of the next racing timepiece Carerra Carbon Matrix Composite Concepr Chronograph, the creation of which the masters are used a composite with carbon matrix. The watch company TAG Heuer has introduced a new sporty novelty Carrera 1887 Titanium Racing Chronograph, in engineering and functional elements of which are felt inspiration, inspired by modern racing cars. Recently, the famous watch company TAG Heuer has released a new watch Carrera Calibre 1887 Chronograph Jack Heuer Edition, dedicated to the company's president, the grandson of the founder of TAG Heuer, who heads the brand in the 60's, 70's. The famous Swiss watch brand TAG Heuer presents new Limited Edition "Leonardo Dicaprio" Link Calibre 16 Chronograph, which is issued in a limited edition - 2000 items. Recently, the famous watch company TAG Heuer has announced a new brand ambassador. It is a Russian actress, TV presenter and model - Julia Snigir, who along with Bruce Willis starred in the fifth film of Hollywood saga "Die Hard." A new generation of mobile phones MERIDIIST, which are produced by famous watch company TAG Heuer, is supplemented with a novelty - Sapphire Special Edition 1860. TAG Heuer faces - the famous Hollywood stars Cameron Diaz and Leonardo DiCaprio have been actively involved in a charity event organized to support organizations UN WOMEN and NY CARES 'Hurricane Sandy Relief Effort, which provides assistance for the protection of women and the victims of the hurricane Sandy in New York. The famous watch company TAG Heuer has released several novelties, the most striking of which was the model Aquaracer Calibre 72 Countdown Chronograph with a five-minute counting function. The famous watch company TAG Heuer has announced a 2012 year as “women's year”. At the world watches and jewelry exhibition BaselWorld 2012 has introduced a completely reworked Link collection, which from March is presented by the actress Cameron Diaz. Swiss watchmaker TAG Heuer is celebrating the 50th anniversary of the first flight of Swiss watches in space. It was a modified model Heuer 2915A stopwatch, on the wrist of astronaut John Glenn during his space flight in 1962. There is no news that these days many watch companies are directly related to the world of sports. These brands develop and produce different models dedicated to a particular sporting event. The cult watch from the watch company TAG Heuer - Monaco Chronograph watch - was sold for 799,500 dollars. TAG Heuer Monaco Chronograph watch adorned the wrist of the Hollywood star Steve McQueen in the famous movie "Le Mans". At the opening of the Olympic Games in London, the banner of the Russian team is carried by the ambassador of the watch company Tag Heuer - Maria Sharapova, who in a conversation with reporters noted the importance of the event what is happening in London for itself, since an athlete the first time participates in the Games. Legendary race driver Alain Prost visited a party on last holidays in honor of birthday of great master and honorable general director of famous Swiss company TAG Heuer Jack Heuer. Novelty by Tag Heuer - the first wristwatch with two MikrotourbillonS tourbillons! The watch company Tag Heuer presents its first original watch with a tourbillon - Chronograph Tag Heuer MikrotourbillonS. To be more precise, in fact this is the first "turbo" chronograph with incredible accuracy up to 1/100 second. New Aquaracer 500M Ceramic watch, presented in 2012 by the well-known Swiss company TAG Heuer, is made in a restrained classical style of diving. Within the framework of the partnership, the watch company TAG Heuer and the famous Formula 1 Grand Prix Monaco in 2012 have introduced a new model Monaco Calibre 12 Chronograph ACM. The watch company TAG Heuer continues to deepen its industrial integration (especially with the increased rate after the reduction of Swatch Group supplies of mechanisms ETA and component parts). The legendary watch collection for women, known as Lady Link, developed by Tag Heuer, the Swiss watch company, consists of timepieces for beautiful, brilliant and brave women. Swiss watchmaker TAG Heuer has announced a new line of limited edition watch Carrera Jack Heuer 80th Birthday, which will be officially presented at the international exhibition BaselWorld 2012. At the upcoming international exhibition BaselWorld 2012 Swiss watchmaker TAG Heuer will present its new watch Mikrogirder 2000, which has premiered in January in Geneva. The famous watch company TAG Heuer has introduced the new model Formula 1 Yin Yang. This watch is adorned by shining gemstones: 234 baguette - cut and 245 round - cut. The dial, welt and even watch strap of the novelty are also adorned with diamonds. Polish watch site Chronos24.pl held a contest for the best chronometers passing in 2011. The jury chose the best watches in six categories, and the seventh winner (Public prize) was determined on the basis of online voting. In Geneva – in the heart of the global watch industry - November 11, summed up the organized by Ringier Group a Prize "Watch of the Year." The famous brand TAG Heuer has twice the highest recognition: the best watch and the best advertising campaign. The watch company brand Tag Heuer has pleased his fans with a new Formula 1 Calibre S Chronograph. The new model is a serious bid for a strong male character and will of power. The well-known watch brand Tag Heuer has pleased fans of jewelry watches with a new model Diamond Fiction. The novelty, as its name suggests, is flickering glare flashy diamonds, used to adorn the dial and case. A well-known Swiss watch brand Tag Heuer has introduced a new limited edition line of Carrera Ring-Master, released for the Japanese market. The new chronograph is made in three versions. New watches are different from the original model Carrera in color palette of the flange on the dial and dedicated to the legendary pilots of Formula 1 racing. In the near future, the famous Swiss brand Tag Heuer put on sale the last achievement of his technical ideas – a new wrist watch Mikrotimer Flying 1000. The prototype of the watch was unveiled in the spring at the world exhibition Baselworld. And at a charity auction Only Watch, which took place in September 23, 2011, was sold the first copy of the new chronograph. The Agency Bloomberg has provided information that the watch brand TAG Heuer in the first quarter of next year's scheduled the opening an online store in the United States. In September 23, 2011, on Friday, a charity auction Only Watch was held under the patronage of His Highness Prince Albert II. The proceeds for the auction will be given for research into Duchenne muscular dystrophy. The auction is held every two years, and among its members the most prestigious Swiss watch brands appear.